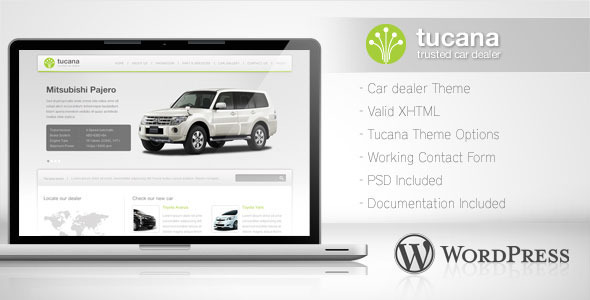 Looking for a WordPress theme for Car Dealer website? 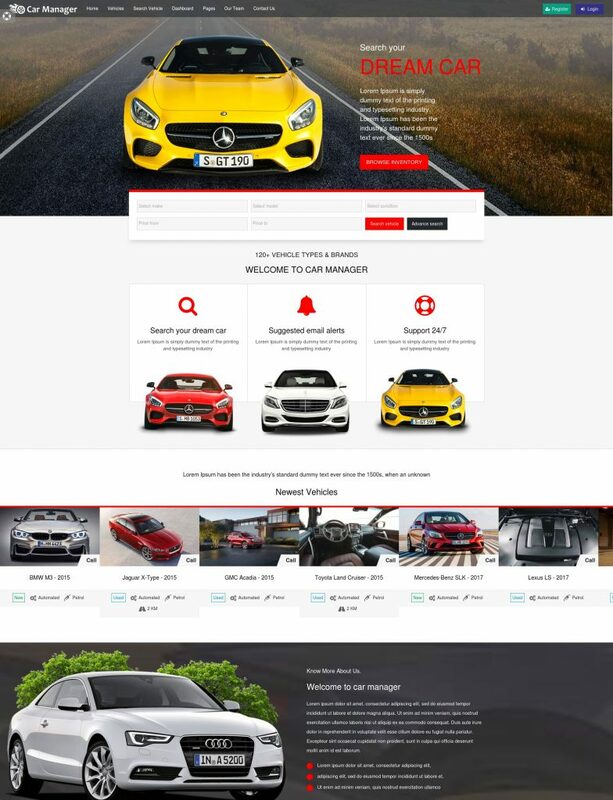 Here we have listed over 20 Responsive Car Dealer WordPress Themes 2019 that will suite automotive websites, especially car dealership, car rental, car sales and car insurance websites. The complete collection of the best Car Dealer WordPress themes you will ever need to build your own dealerships, agencies or trading sites. All themes with customizable vehicle listing pages that can be filled with car specification, images, videos and other valuable information, responsive design layout and easy to use dashboard. 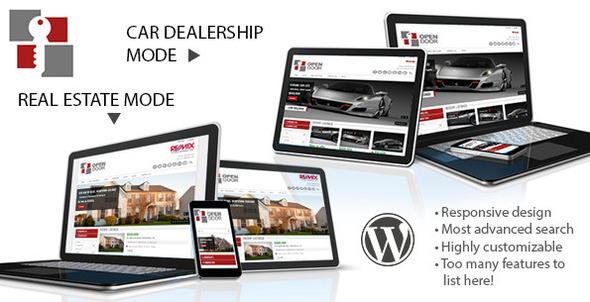 All these listing can be tweaked to suit your car dealership website needs. These Car Dealer WordPress themes are not listed in some particular order and you shouldn’t be affected if it’s number one or the last one in the list. If you are already in this business and looking to expand your business, it is the right time to make your website to showcase your vehicles. 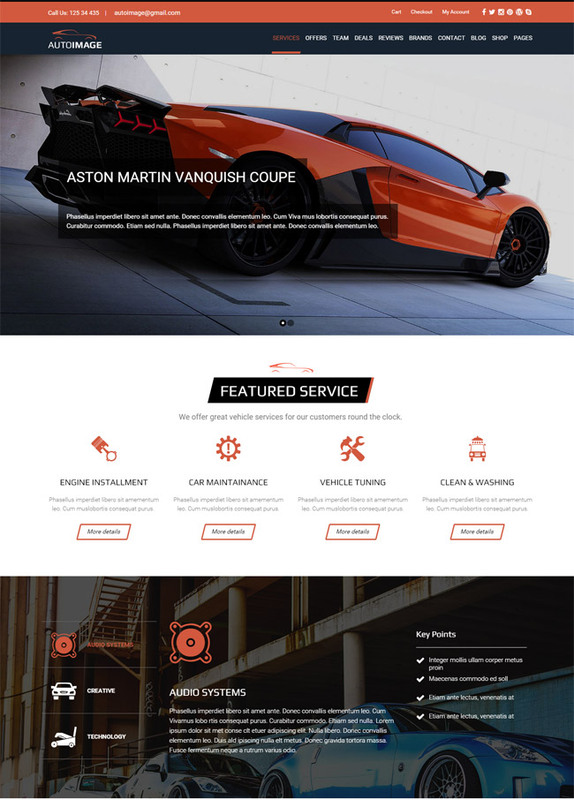 Carena is an incredibly intuitive, effortlessly stylish, extremely comprehensive, functional and powerful, modern and flexible, and astoundingly modern Motor Industry WordPress Theme. Carena is an appealing and flexible website theme for any kind of business related to the automotive world. You can easily modify the theme options pages with the metaprogramming options generator integrated into the theme. 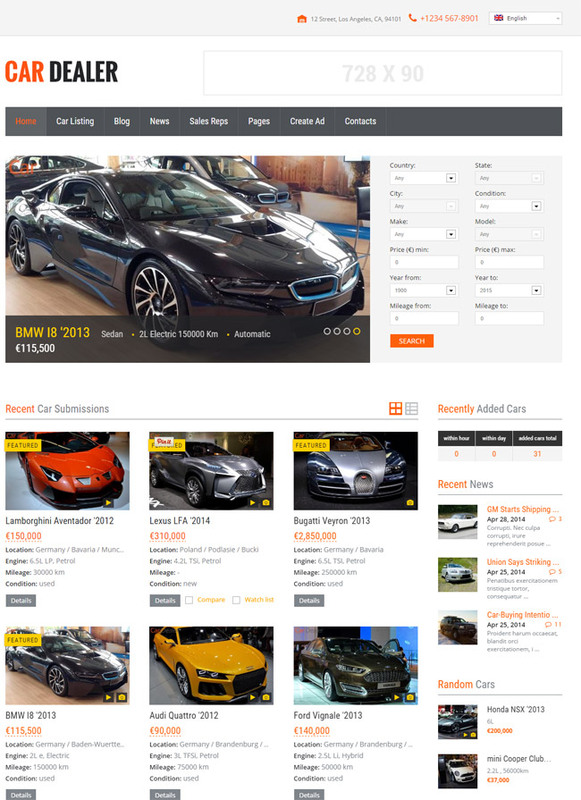 Carena theme comes with well designed and functional car listing pages. Carena has auto sort features without page reload based on Car make, Price, Release date, Year, Mileage, Engine and so on. It also contains features to integrate Videos, Contact forms, and Phone numbers on Car details page, making it easier for customers to know more about your product and an easy way to contact you. Thus Carena theme can help you convert your visitors into customers. The value of these 2 premium plugins! For example, Visual Composer (for building sweet layouts) and Revolution Slider; an amazing tool for creating high-quality slideshows. Carena is WPML-ready, and it can be translated in multiple languages. Carena is compatible with WooCommerce for online shops, dealerships or even parts stores. Market your vehicles to the whole globe, with Carena today! Azirspares is a HTML5 and CSS3, highly specialized WordPress responsive automotive theme designed for automotive and boat selling business. Azirspares theme well-suited for handling any range of imaginable automotive website needs, from Auto Part, Car Listing websites and car dealership websites. Azirspares is compatible with WooCommerce Plugin for online shops, dealerships or even parts stores. Other assets of Azirspares are SEO friendliness, mega menu, sticky menu, Google Maps, parallax effect and super powerful admin section. Contact Form 7 and WPML for translation are also compatible. Specialized features include compare functionality and vehicle review stamps. Azirspares also incredibly easy to setup and install with 6 pre-built homepages, taking under one minute all in all, after which the drag & drop page builder combines with 14+ shortcodes for Visual Composer, along with Revolution Sliders and powerful theme and page options for endless customization and branding. Car Manager is beautiful and complete, inherently flexible, amazingly powerful, technologically sophisticated, modern and fresh-faced car dealership WordPress Theme. 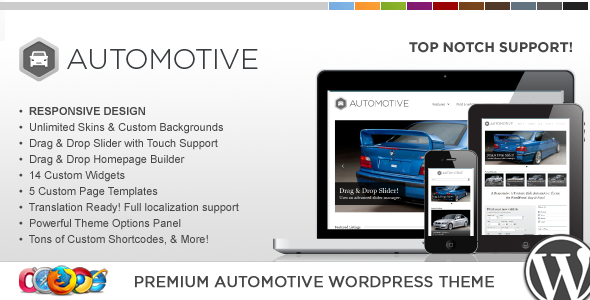 Car manager theme offer almost unlimited options designing your website very successful adaptation in all sorts of automotive and auto service related website applications, from used car dealerships. It includes lot of features like Listing, Featured Vehicle, Vehicle Approval Queue, Credit System, Payment System, Add Vehicle, Email Notifications, Powerful Admin, Various Reports for admin, Export Vehicle Data, Vehicle Alert, Compare Vehicles, Shortlisted Vehicles and much more. Car Manager is intuitive and easy to use, highly customizable through a Visual page builder, equipped with the customized Slider Revolution for interactive, animated sliders at the touch of a button, packed with robust Admin panel options for easy personalization. Car Manager features Contact Form 7 to reach followers and vice versa, RTL and multi-language ready theme. Also, potential clients can shop with their own carts in an online store thanks to WooCommerce. Car Manager is multilingual ready and optimized for speed and good navigation with SEO. Try Car Manager today! 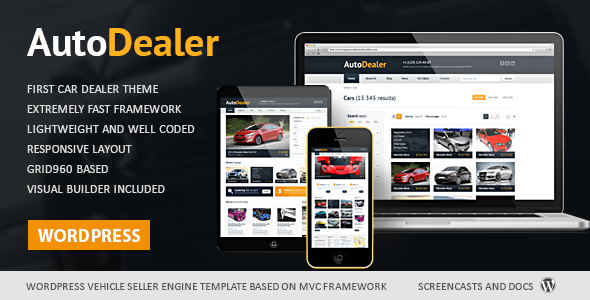 Car Dealer is an excellent WordPress theme for Car Dealer, Automotive websites. It can be used for any business in automotive world from car dealers, car resellers to the mechanic workshop and auto motor retailers, given that is extremely user-friendly. Car Dealer is developer friendly: it doesn’t require coding knowledge to set. It also features beautiful photo and video galleries with Slider Revolution premium plugin. Page construction is intuitive, given the inclusion of the 10 pre-built homepages and Visual Composer plugin. This amazing tool uses drag and drop technology, allowing you to construct a fully-functional site in a matter of moments. Car Dealer does its best to accommodate all devices, regardless of their screen size. Cars posts can be showcased on tablets, smartphones, laptops and desktop computers. With powerful cars filters function integrated, you are able to put up a professional Car Dealer portal where consumers can browse, search and filter entities like brands and cars. Get distracted by its built-in awesome customizable MegaMenu. Car Dealer comes with unlimited colors, sidebars, and cool scrolling. You will get RTL and translation support with po.mo files as well. WooCommerce provides for effortless commercialization of your properties to users the world over. This theme is built with the latest HTML5 and CSS3 techniques to help you keep up with the latest trends in website design. The theme comes with full Google Fonts integration with over 800 different fonts, Car Slider shortcode, multiple color options and much more. It is SEO friendly to make your Car Dealer website easy to find on Google and other search engines. Get Car Dealer Wordress today! 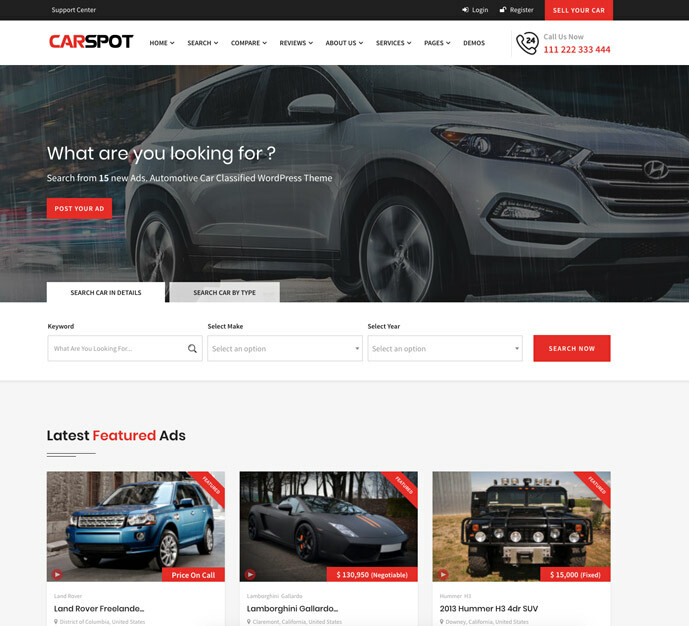 CarSpot is a clean, versatile and responsive WordPress theme fit for building auto dealer business, automotive, car services related websites. 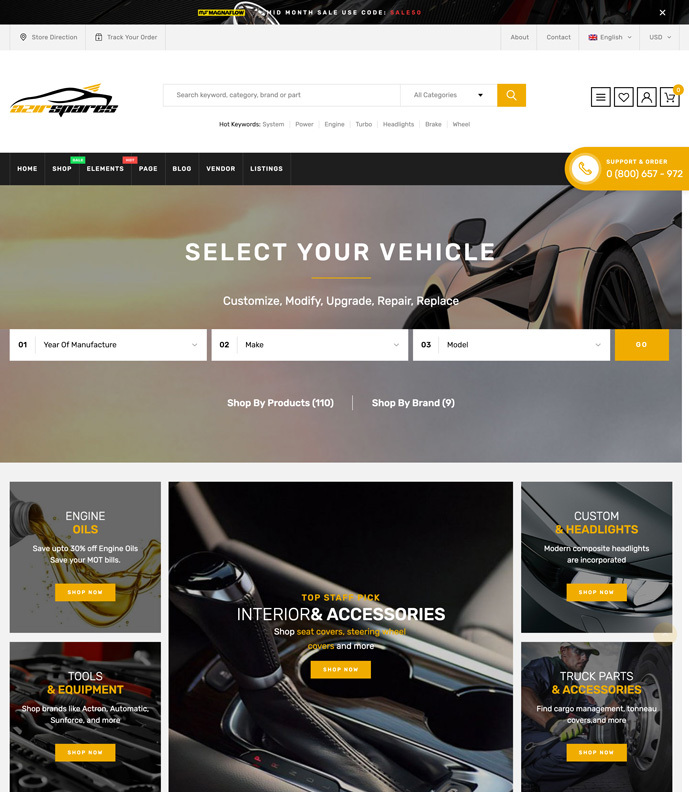 This is a perfect automotive WordPress classified theme with one shop solution for product listing, includes BikeSpot, CarSpot, BoatSpot, RepairSpot, ShopSpot & ClassiSpot. Our Car Classified Ads theme comes with effective vehicle search functionality that makes it perfect for buyers to look at various Cars or Vehicle Models available. The theme comes with Visual Composer page builder with customizable content module blocks readily available for you to drag and drop into the action as you handcraft your pages to suit your every need. It was built based on the latest Bootstrap framework, coded with clean and valid HTML5 and CSS3 and Ajax. It is fully responsive and resizes intuitively to any devices. It is very quick and straightforward to customize, thanks to its advanced admin panel powered by Redux Framework. CarSpot counts with a friendly SEO for increased traffic. A handy ajax live search feature lets users hunt for your cars post in real time. 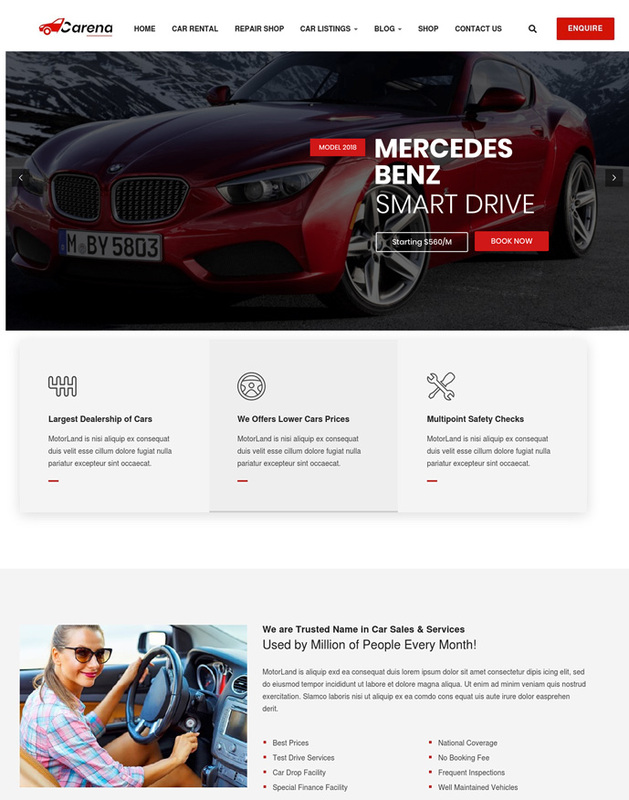 This theme comes with Frontend submission & Agent Profile that allows users to set up their own profile on your website and submit their cars to your website with an easy and clean interface. CarSpot is translation ready with RTL compatibility. It includes a child theme website and has an easy demo import option. It is SEO friendly to make your real estate website easy to find on Google and other search engines. This is the right theme if you are looking for the minimal yet powerful theme for your auto dealer business, automotive or another related business website. 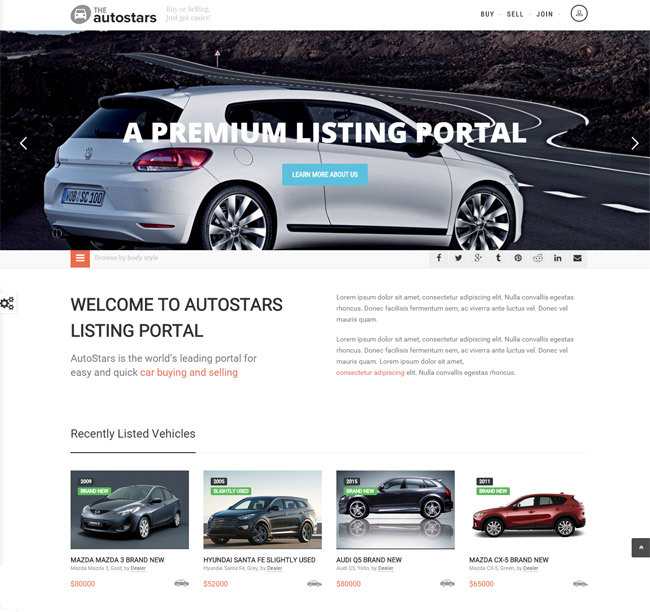 AutoStars is a full functional powerful WordPress Theme designed & developed for Car Dealership Business, Auto Listing Websites and comes handy for any kind of Listings Websites Like real Estate, Courses etc.. It is fully responsive template based on Twitter Bootstrap 3.3.1 framework that makes it available for all screen sizes from the bigger ones to smartphones. Its not only responsive whereas it is retina ready also, now no blurry images on your HiDPI and retina devices. 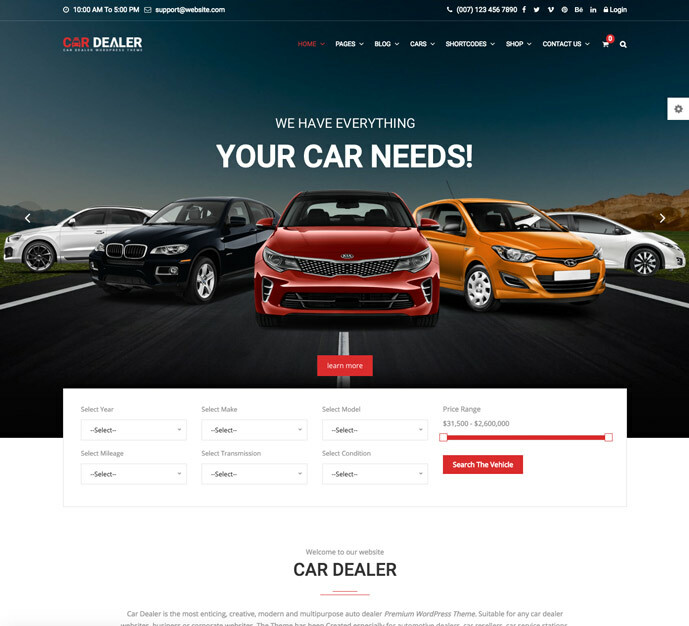 This great Car Dealer WordPress Theme can be used on any level of business starting from huge car dealer companies and for guys who want to sell their own cars. Every user who enters the website can create his/her own account with his/her personal information, contact details and post there lots of different cars to sell. 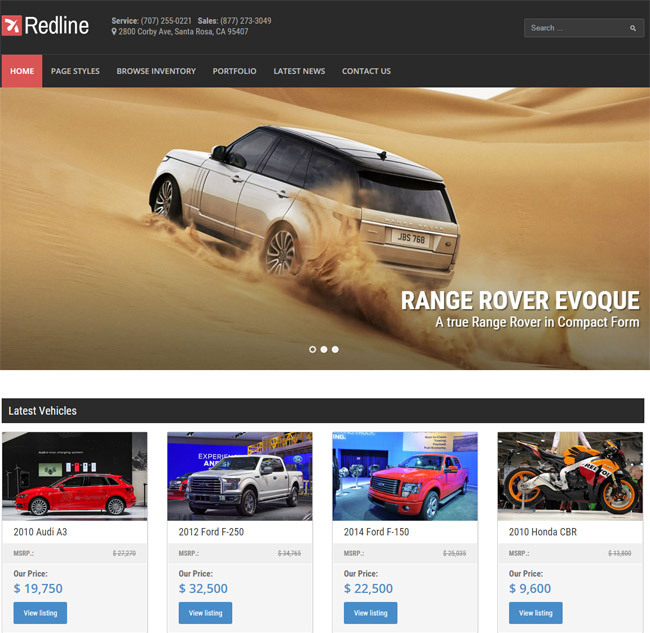 Redline is a Car Dealer WordPress Theme include Premium Car Dealership Plugin, when purchasing this theme, you will receive a detailed help file along with additional features like Vehicle Inventory and a Responsive Layout. Auto Image is a WordPress Car Dealer Theme can be used on any level of business starting from huge car dealer companies and for guys who want to sell their own cars. Definitely Auto Dealer is absolutely unique powerful WordPress tools for selling autos and other motor-technic. Considering all trends Auto Dealer is quite unique product you may not meet no one here in Theme Forest with similar features, and moreover code quality. This product built with best MVC practice and ready to be infinite-scalable system. Every good PHP specialist will enjoy with theme code and ideology.